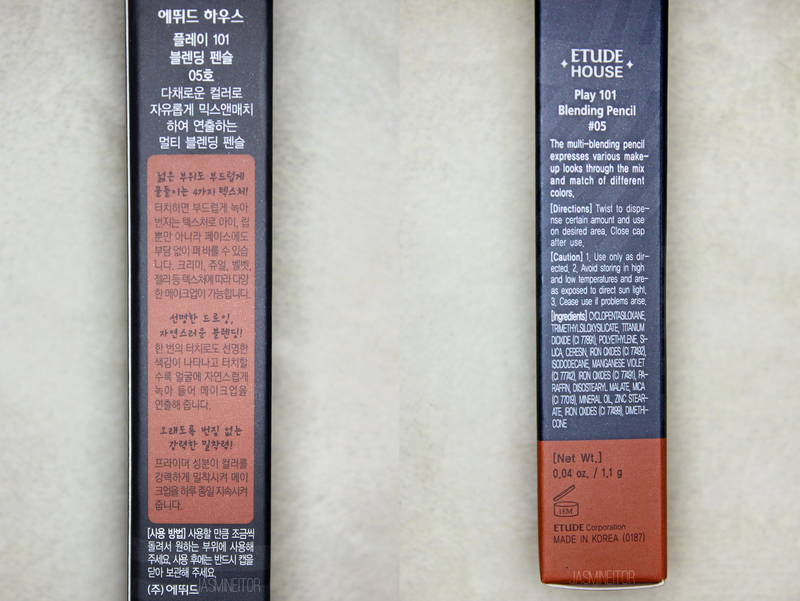 This month Etude House has released 25 “blending” pencils to their Play 101 line, which is a formula previously unseen, and the 3rd addition to this line. They come in Jewel, Creamy, Jelly, and Velvet finishes. I was sent the above 10 by Etude House, and bought one (#18, not pictured) myself on sale! 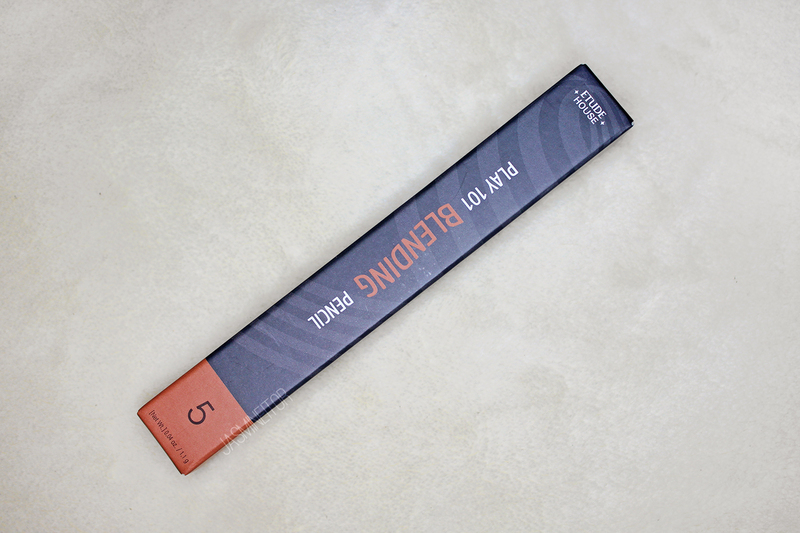 This product promotes a formula that “melts and blends at a simple touch”, and can be used on any part of your face for a full makeup look. Numbers 1 ~ 14 have 1.1g, and 15 ~ 25 contain 0.9g. I’m not sure why there is a difference when the price is the same – 7,900 KRW each! Apparently I have a hard time drawing straight lines 😂…The creamy textured pencils are by far my favourite. 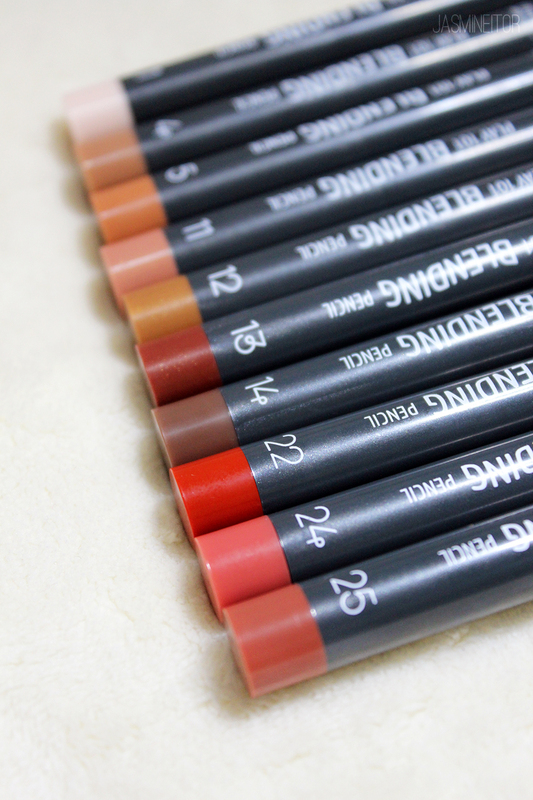 They draw on with one easy swipe, are extremely pigmented, and blend really nicely! 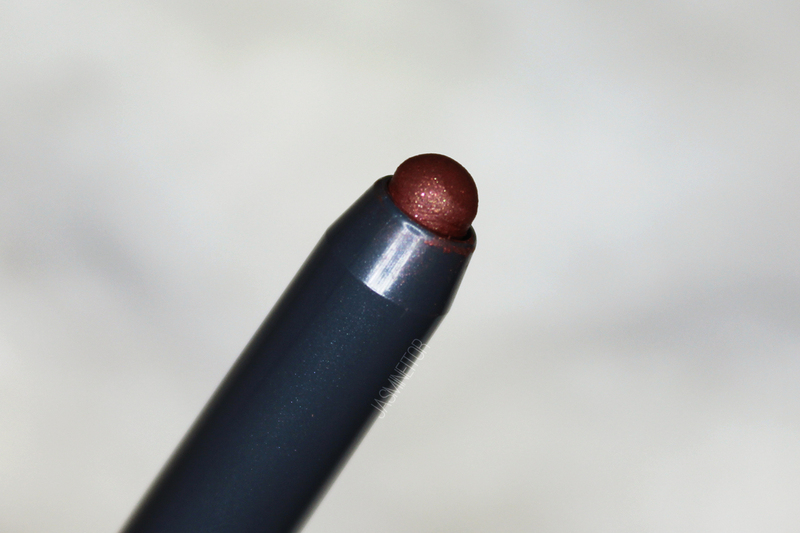 The jewel ones also blend out easily and have a very flattering sheen to them. The velvet texture is also very smooth and pigmented, but you can see in the above pictures that they are a little chunky. 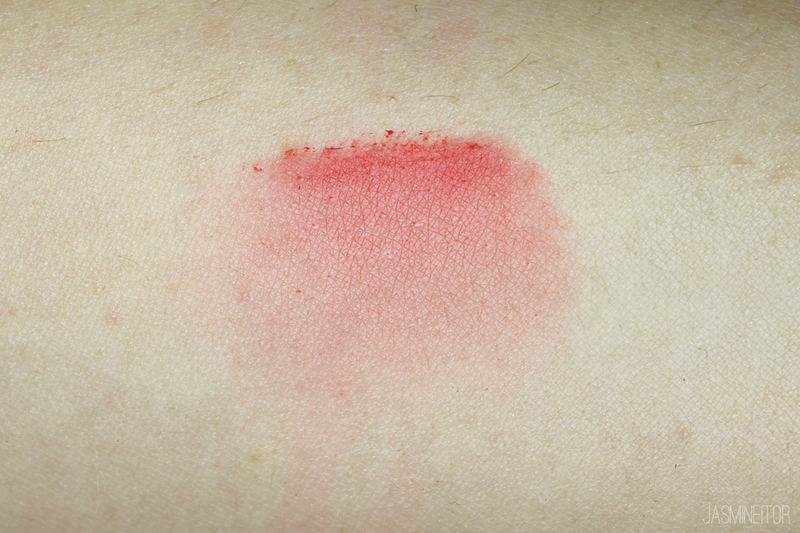 They go on so creamily that when dragged across my arm they tended to bunch up. 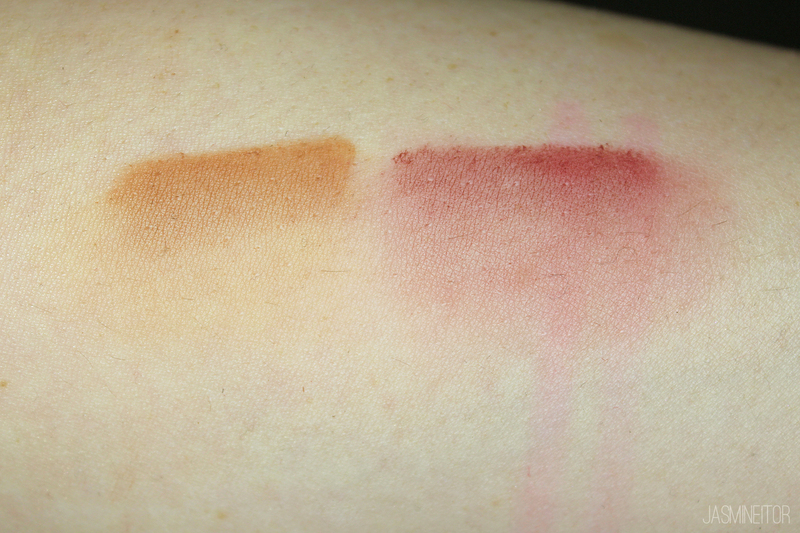 However, they go on very smoothly blended on your cheeks, eyes, or on your lips so I fin d this is only a problem with the swatches! 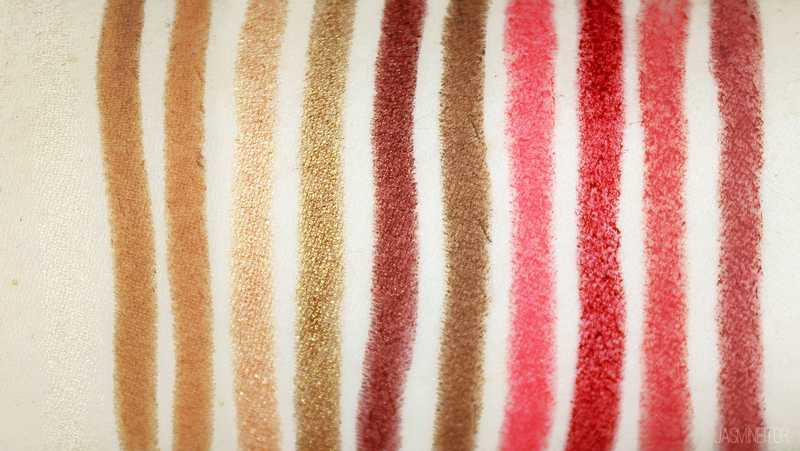 These can be used on the eyes alone or as a cream eyeshadow base. I recommend setting them to prevent creasing. 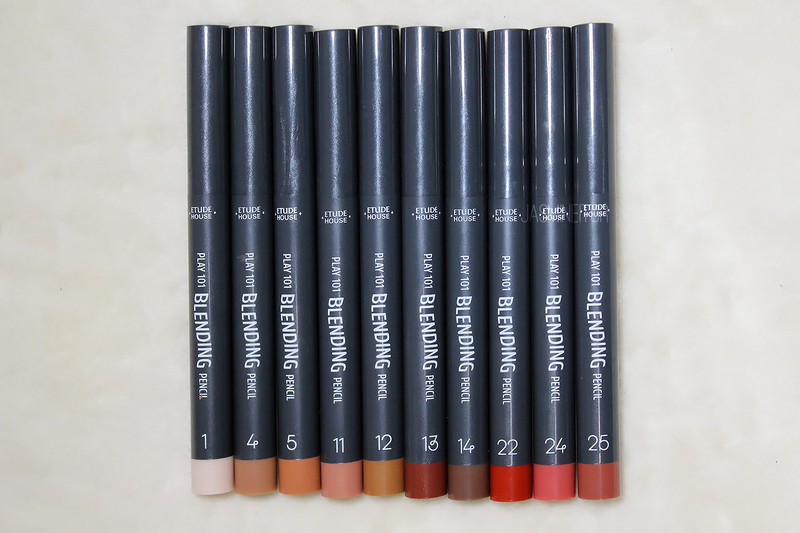 They last all throughout the day without much fading, and the velvet texture is very moisturizing on the lips and quite long lasting! 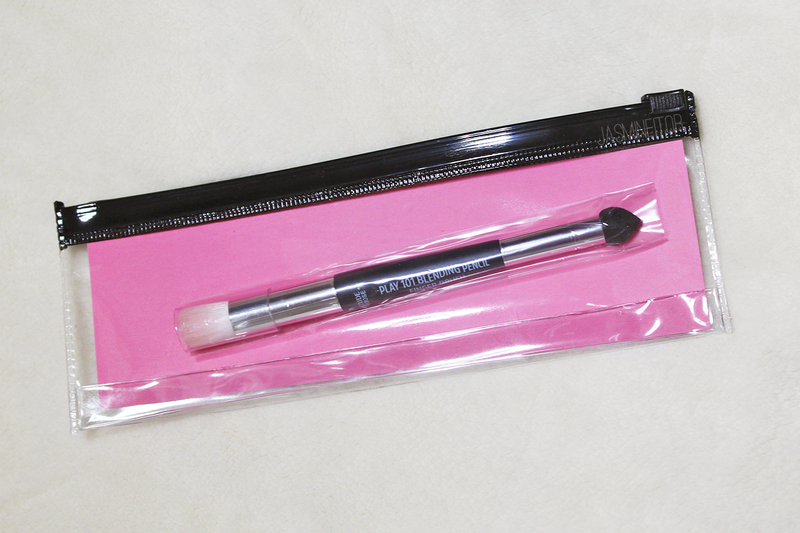 Another thing that Etude House generously sent me was the new brush that came out with the Blending Pencil line! The brush comes with two ends – a dense angular brush end, and a Hershey’s Kiss-shaped (I’m sure there’s a better name for this) sponge end! For the above and below photo I drew 3 lines with the pencil and attempted to blend it out downwards. Above, I tried blending out both creamy and jewel pencils with the brush, and you can see the results above. 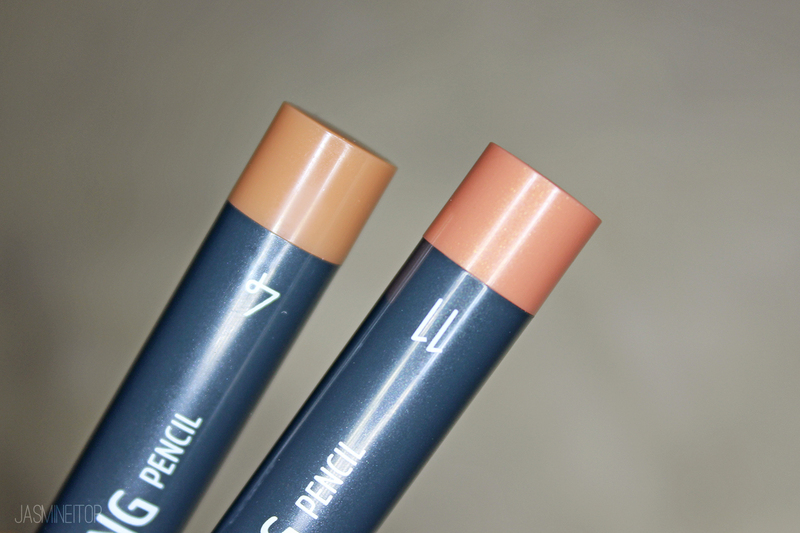 The brush blended out the jewel pencil with less harsh lines, but didn’t do so well with the creamy pencil. I then tried using the sponge to blend out one of the velvet pencils and was veyr happy with the results. On the right I “stamped” the sponge to see how well it would fare, hence the more pronounced texture, and on the right I rubbed the sponge to give a smoother, blended out effect. 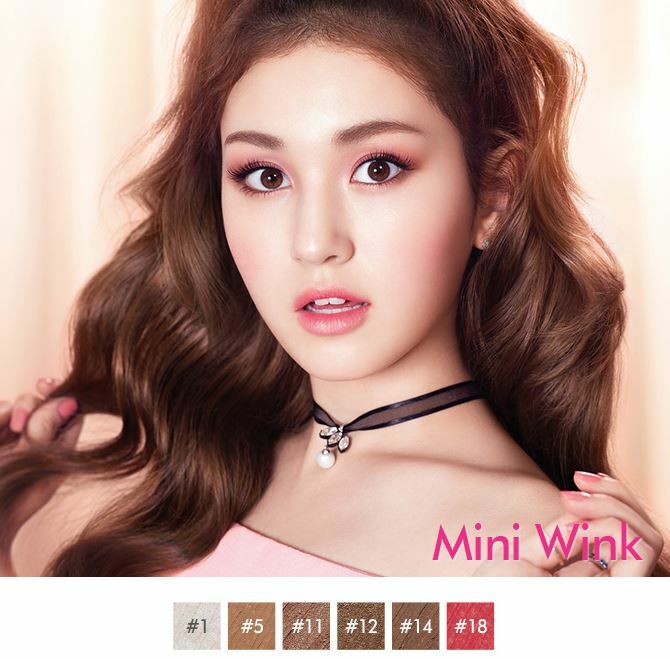 Etude House requested that we attempt the following two makeup looks that were done on Etude House’s most recent models, from the Korean idol group I.O.I. 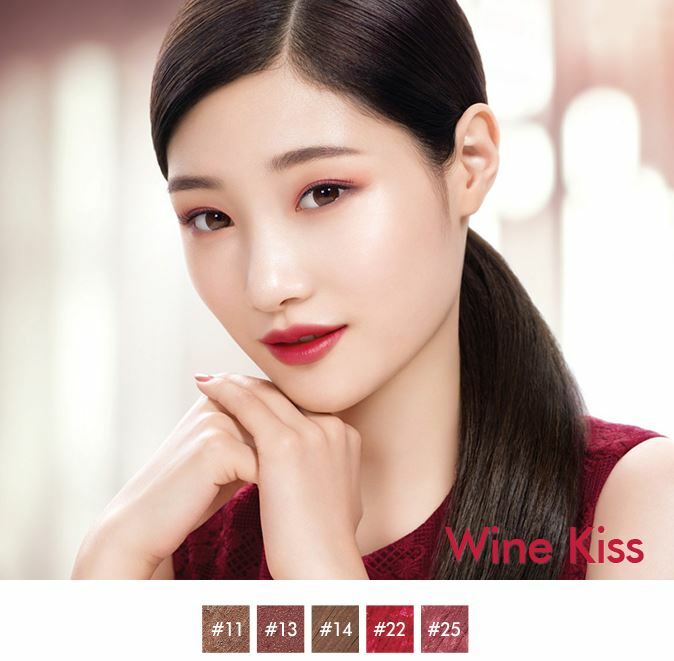 Tutorials for these looks can be found on Etude House’s website here (Wine Kiss) and here (Mini Wink). The next look is a lighter, flirty pink look. I had given up all hope at this point after the disaster with the first look, but actually figured out how to do it properly this time! 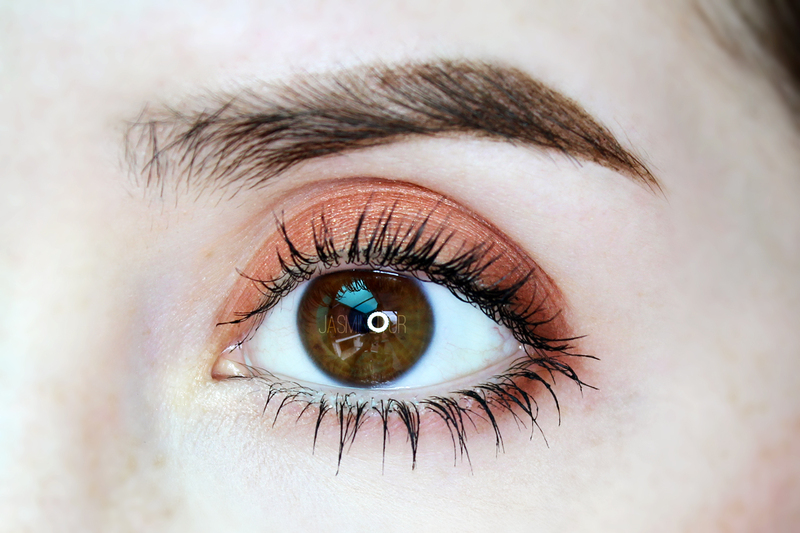 As you can see on my lid here, this look is much better blended than the previous one! I used the brush to blend out the edges once I applied with my finger, and applied product to the sponge and swiped it under my eye to create a blended out, eyeliner-esque lower lash line. 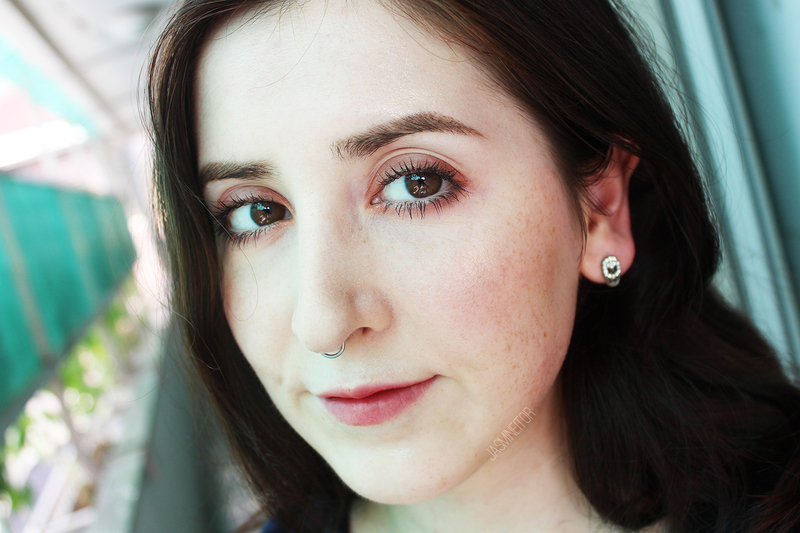 The blush was applied in the same way I did the eyes, which was by applying it to my finger and patting / rubbing it on instead of using the pencil on my face directly. The lips were the only thing I applied directly – #18 blended out with the sponge with a little #1 patted on top for shine. Despite the trial and error needed to figure out how to truly use these to their full potential, I really love these and have been using them very often! 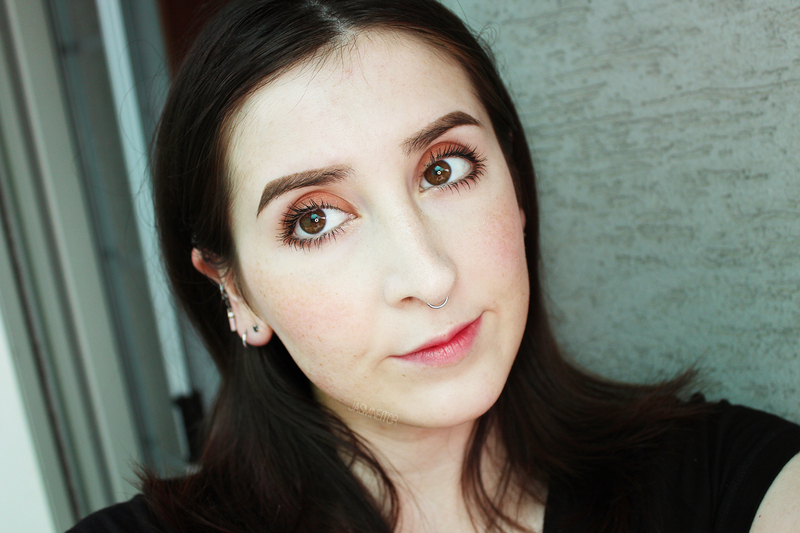 I really like the velvet texture as lip colours due to how moisturizing they are and easy to blend out on the lips. 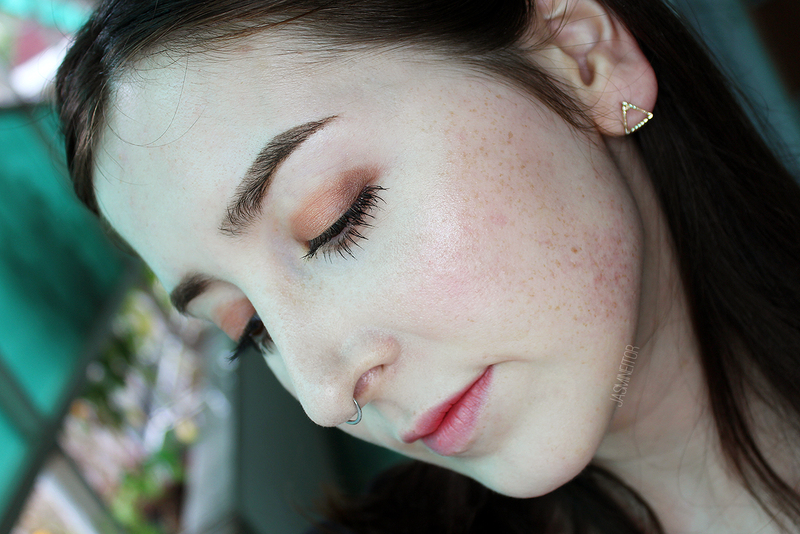 I’ve also been using the creamy shades as a base for my smokey/grungey eye looks and they work excellent for that! All in all these are a great product that comes in an extensive range of colours. 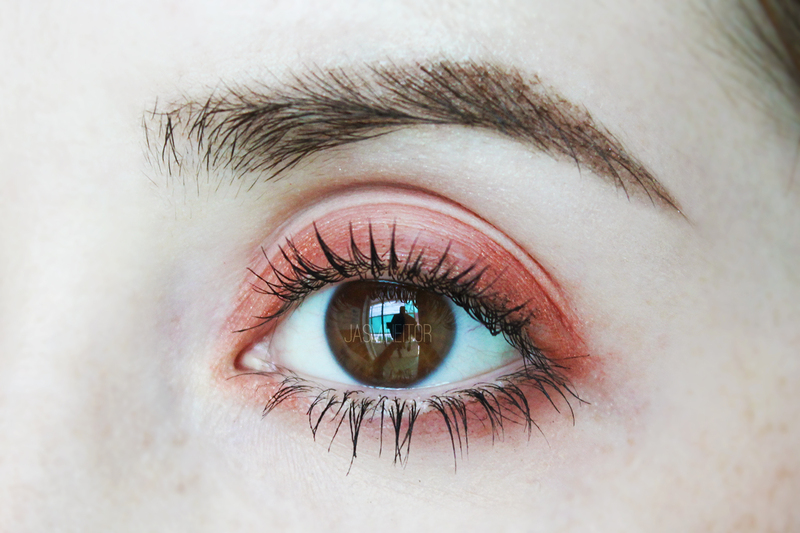 Great for those who are into throwing on a quick all-over lid shade and calling it a day, or swiping on a simple liner. It might take a bit of practice, but if you follow the tips I gave above, you should skip the trial and error process I went through and be able to create pretty looks with these! 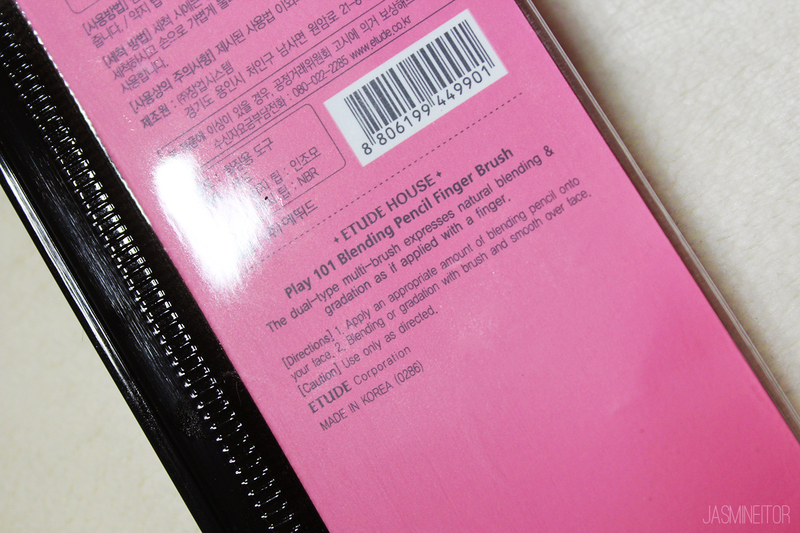 As for the brush – you can probably skip it. I will be using it, but I don’t find it necessary or life changing.